Berlin-based Spanish singer-songwriter Sofi de la Torre commissioned Outpost to promote her latest two EPs with hugely successful results. Warp Records longest serving artist, Nightmares on Wax, boast an impressive 25 years of producing and recording music. The double disc retrospective album ‘N.O.W IS THE TIME’ is a celebration of his quarter century producing iconic music. Kendra Morris saw huge success with her 2014 release of ‘Banshee’. The album took her career to new levels, sharing her incredible voice with an increasingly interested UK audience. Master of reggae for over 30 years and with an MBE to his name, it is no wonder that David Rodigan was picked to do the prestigious ‘Masterpiece’ series by Ministry of Sound. 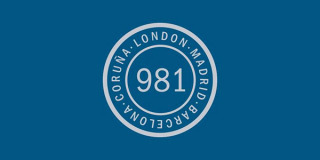 Following their 2013 sell-out UK show, Spanish event brand 981 Heritage enjoyed a well received return to the Oval Space in London, in July. Outpost have represented Finland’s national festival, Flow, for the past two years, introducing them to the UK festival going audience. 2013 was the breakthrough year for the ‘Dreamfolk’ band Mt. Wolf. After teaming up with Outpost for a press and online campaign, the band went from being unknown to receiving 60,000 Soundcloud plays in a month. 2012 saw the release of ‘Hollie Cook in Dub’, a hypnotising dub rework of her well received eponymous debut album by Prince Fatty. Emerging with the rest of the multi-talented Numbers crew, and with only a handful of laser-guided releases to his name, Rustie’s presence far outreaches his focused, evolving discography.